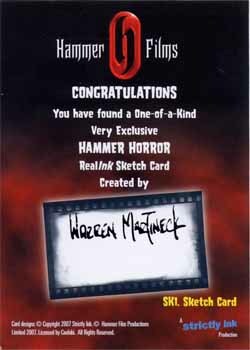 I've had a few requests for past work information lately and I'll be putting that stuff up this week. 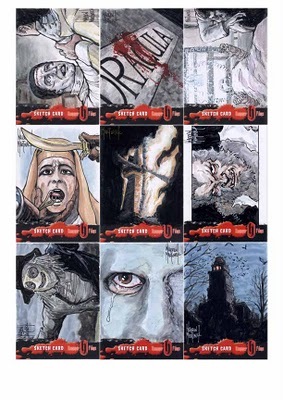 I'm starting out with all 22 of my Hammer Horror Sketch Cards I did for that set that came out in, I think, 2007. If you guys have other requests to see more or past stuff, drop me a line.